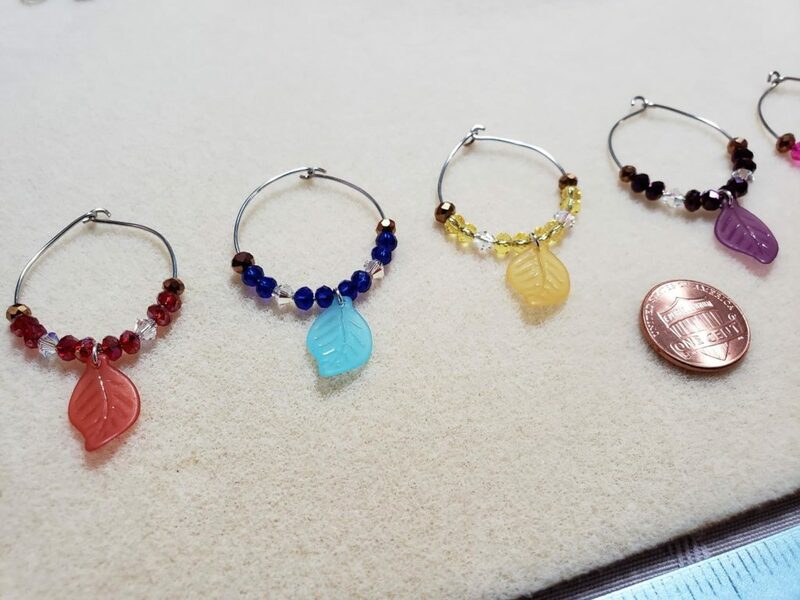 Starting back slowly,I made these wine charms as a gift for my Husband’s Boss. They were simple and didn’t cause me any pain to make. Sorry for the crappy pics. 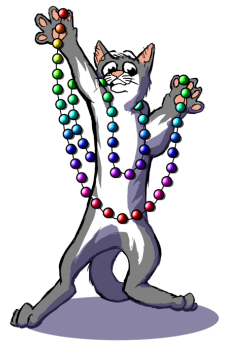 Glass beads, Swarovski crystal,and acrylic on metal wire. I will eventually take commissions for these! Unique and custom jewelry for any wear in time and space! Commissions for all occasions are welcome! Crafts too! 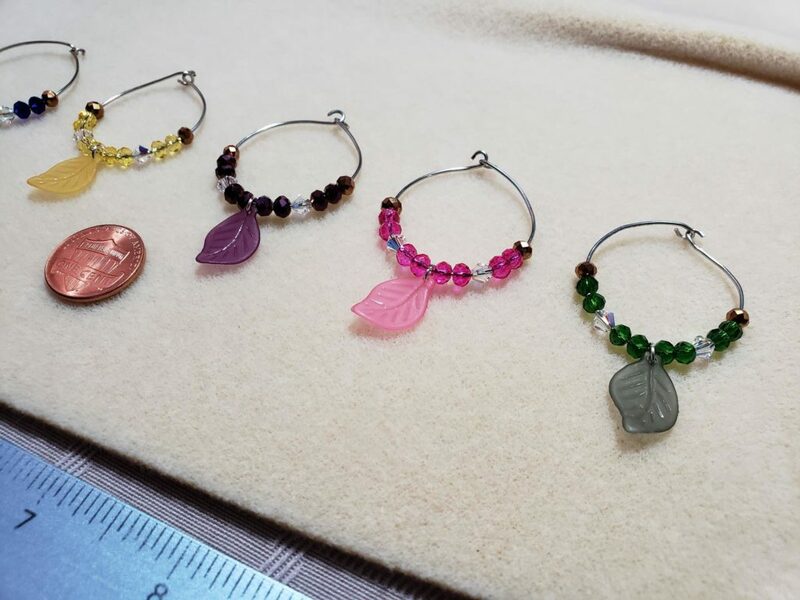 These are handmade, mostly unique, one of a kind pieces, that are made with care and thoughtfulness. My inspiration comes from nature, various geeky fandoms, and pop culture. Commissions are welcome! All inspiration sources are copyright their original creators/owners.